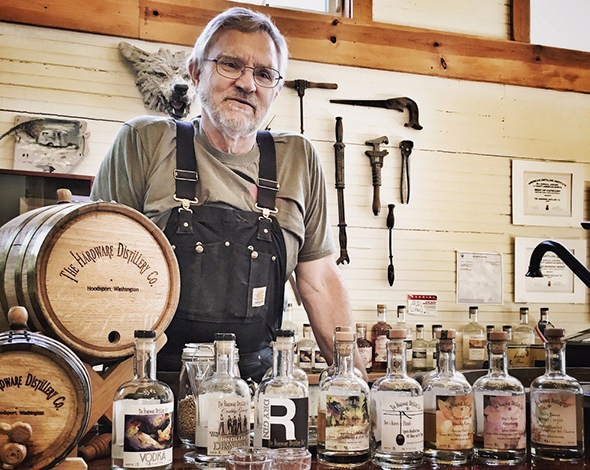 Chuck Morris, master distiller at Hardware Distillery welcomes visitors stopping in to taste the spirits of Hoodsport. Less than 30 minutes from the State’s capitol lies a picturesque Northwest road trip following the curves of Hood Canal. With its rich cultural and artistic vibe it would seem there is a muse in this coastal microclimate bathed in shades of blue and green. The Skokomish people are the descendants of the Twana, “People of the Water,” whose traditional territory covered an extensive area along the Hood Canal and inland to the peaks of the Olympic Mountains. The Skokomish River with its productive salmon runs and valuable grasses for weaving baskets was especially important to the early inhabitants. 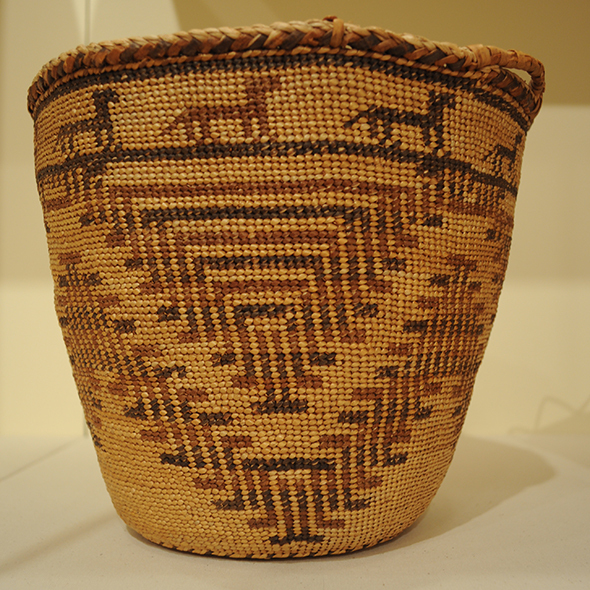 Their arts and culture were informed and shaped by nature and the tradition of beargrass basketry is an intricate example of natural resources, ingenuity and art coming together with the carvings, dugout canoes, and traditional song and dance. To see a beautiful display of the technique and intricacy of the Skokomish beargrass baskets, drop in to the newly built Skokomish Community Center museum located in Potlatch. Traveling from the Skokomish delta, passing mossy delta and clapboard cottages clinging to the thin strip of land between the road and the shore, you will round the headland that opens up into the town of Union. Known as duxWhLu’qWat3d to the Twana people, in 1889 it was named Union City by lumberman and legislator John McReavy to celebrate Washington’s declaration of statehood. McReavy was a boom and bust figure who had dreams of creating the “Venice of the Pacific” in Union. His mansion built in 1890 on the bluff overlooking Union is purported to be the oldest house on Hood Canal–and of course hosts a few ghosts. Union became famous in the early 1900s as “the” place to go for the culturally and artistically elite of Seattle and Portland. In this tiny hamlet scores of artists, musicians, writers and their sponsors converged to share ideas and art. Of note was the charismatic artist and musician, Orre Nobles, who established Olympus Manor, Washington’s first artist’s colony in the 1920s. 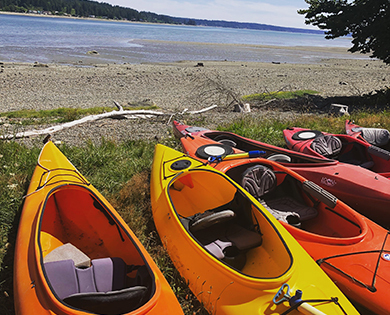 In present day Union you will find shops, waterfront restaurants and the Hood Canal Marina, a popular spot to launch kayaks and enjoy weekend brunch at the Union City Market. Stay at the award winning Alderbrook Resort and Spa featuring private docks and beach, restaurant, as well as a saltwater indoor pool. April is Oyster Month at Alderbrook featuring special rates and daily events at the Resort. 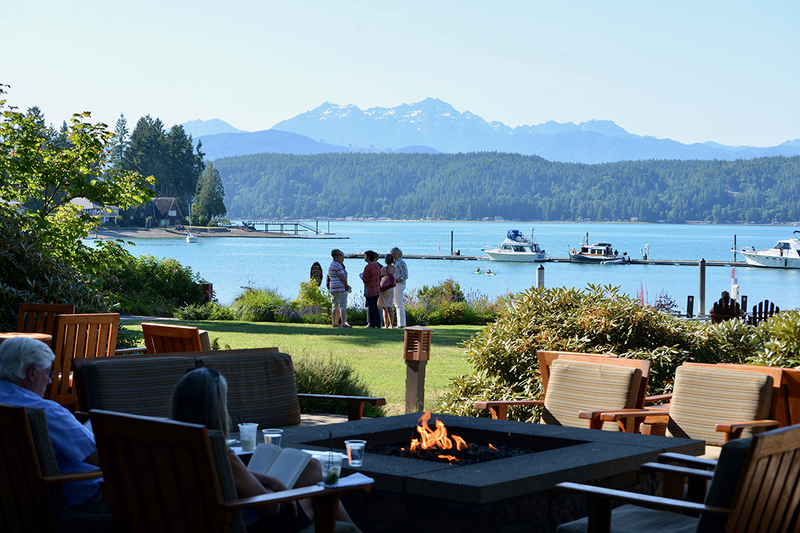 Alderbrook Resort and Spa is a great spot to unwind after a day exploring the fjord. Nearly every evening you can enjoy live music at a local restaurant or event. 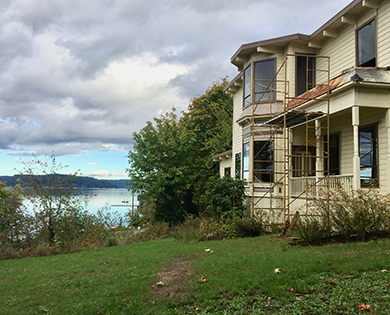 The McReavy House (currently under restoration) overlooks Hood Canal. 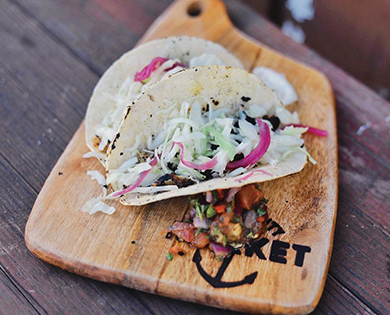 Union City Market offers a varied and ever changing brunch and monthly feast. Kayaking is one of the great ways to enjoy Hood Canal—here are a few more ideas. Another honorable mention is the Robin Hood Village Resort built in 1934 by Don Beckman. A set designer from Hollywood, Beckman was known for designing the set for the classic Robin Hood movie starring Errol Flyn. In fact, one of the Robin Hood Village’s early visitors was Errol Flyn himself. Guests have the option of staying in the new cabins or historic cottages, one of which is rumored to be the cottage where Flynn stayed after he finished filming the classic tale and came to visit his old friend Beckham. The Pub continues the arts tradition in Union with year-round live entertainment feature local and visiting musicians. CLICK HERE If you’d like to see a complete list of lodging options when you Explore Hood Canal. Matlock hosts the Old Timer's Historical Fair, May 4-5. 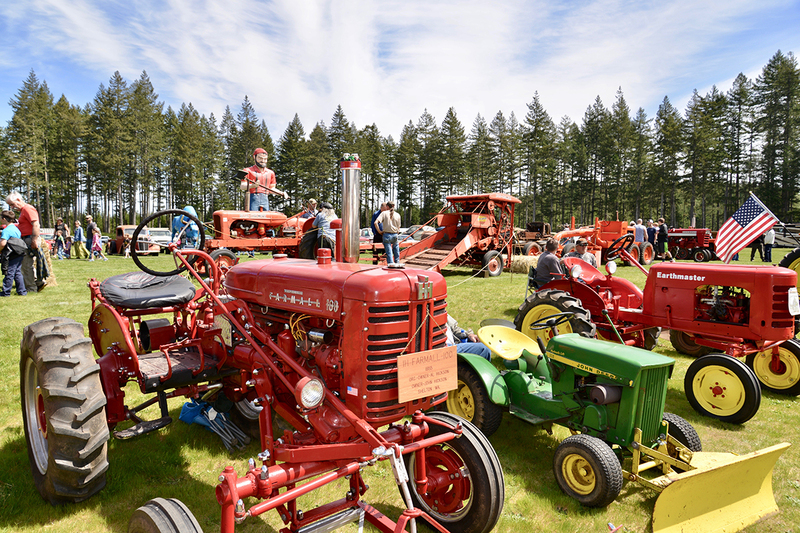 Enjoy live music, delicious food, historical logging and farming displays as well as handmade items to take home. Admission is free. 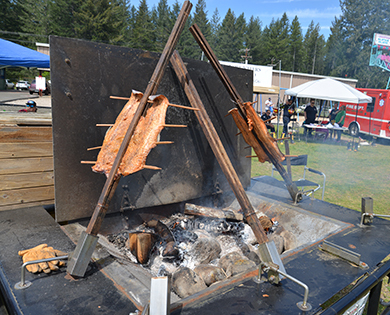 A traditional salmon bake is an element of many local events. All ages head to Shelton for fantastic Bluegrass music, May 17-19. Hama Hama's Oyster Rama features entertainment and seafood. 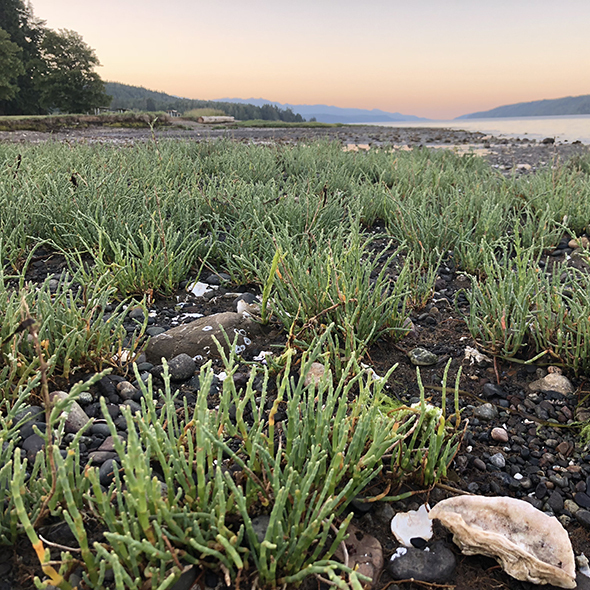 The north shore town of Lilliwaup will be hopping Easter weekend with the largest intertidal party on the Pacific, the Hama Hama Oyster Rama celebration is a sold-out show each year. In May, Shelton will be striking a chord with nationally recognized bluegrass bands at the Bluegrass From The Forest festival. 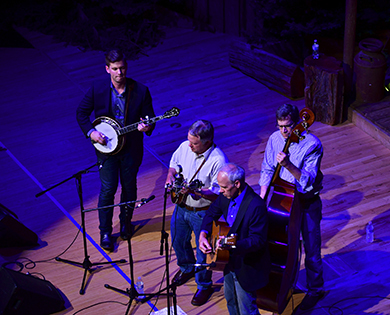 Early Bluegrass bands were formed in remote logging camps in the Northwest. One such group was the Logger Orchestra led by pioneer forester, John Sells. 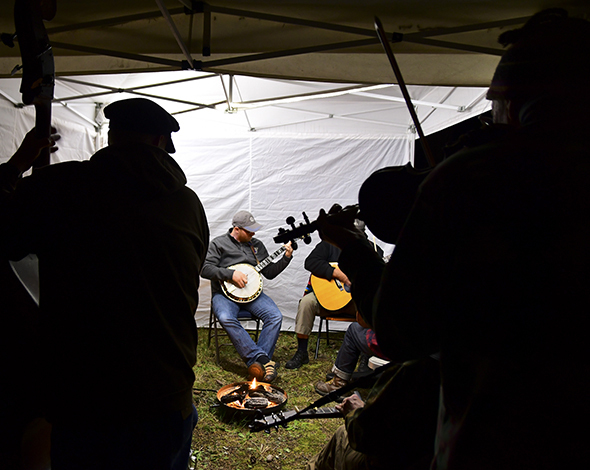 Tradition has it that Sells and his fellow musicians are the roots for Bluegrass From The Forest planted over a hundred years ago in the backcountry of the Olympic National Forest. The festival takes on full foliage with onsite camping, workshops for the whole family and performances featuring bands including The Slocan Ramblers, known as Canada’s bluegrass band to watch, and South Carolina’s Alan Bibey & Grasstowne. Tickets start at just $15. Purchase your weekend tickets here. 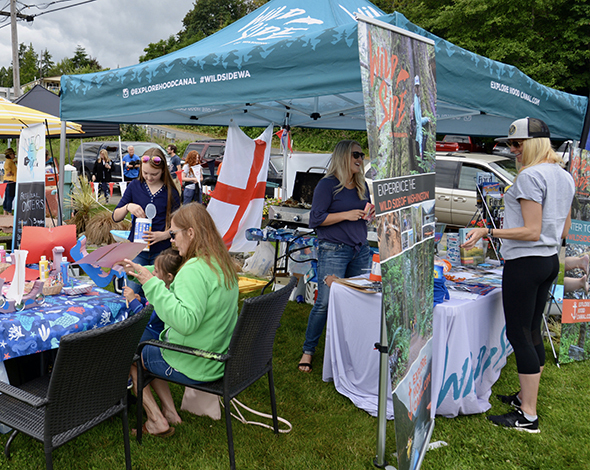 CLICK HERE to see a complete list of events when you Explore Hood Canal. Jan and Chuck run Hardware Distillery in Hoodsport, open for tastings and tours. Hoodsport's Fjordin Crossin features craft activities, food, an aquavit garden and a Paddle the Canal event. June's Paddle the Canal, following the aquavit crossing, is open to all non-motorized vessels. Whiskey and bluegrass go naturally together so be sure to stop by the craft distillery in Hoodsport on your way through the area. 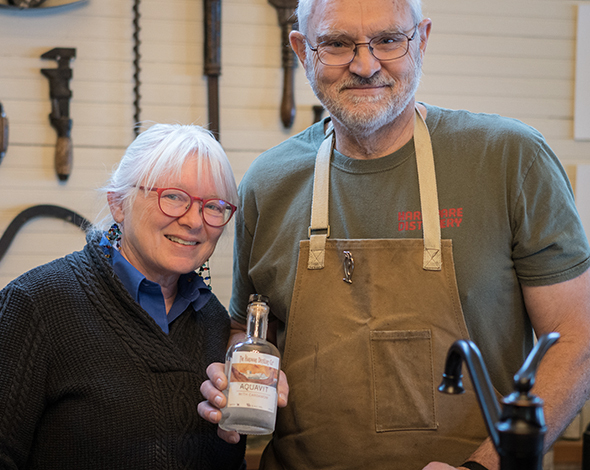 Using locally sourced ingredients and water straight from the Olympic Mountains, Jan and Chuck Morris, owners of the Hardware Distillery, pride themselves or creating a variety of spirits using traditional methods and focusing on small batch quality. Currently the Distillery is creating a peated whiskey using a Scottish traditional style and infused with the smoke from local Shelton peat. On June 29 the Hardware Distillery will host the annual Fjordin Crossin at Hoodsport Marina. 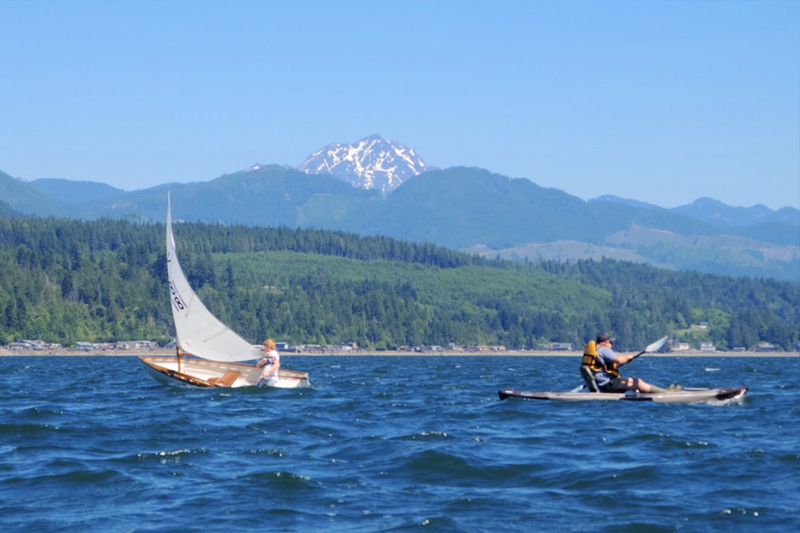 The event features the crossing of Hood Canal with a barrel of aquavit (an old world Scandinavian spirit) along with a flotilla of paddlers. 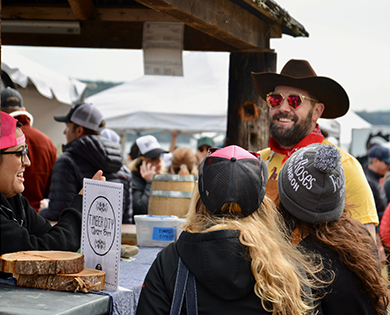 Hosting a rich tradition spanning generations of first people and settlers, Hood Canal hosts recreational opportunity while embracing the arts and community. 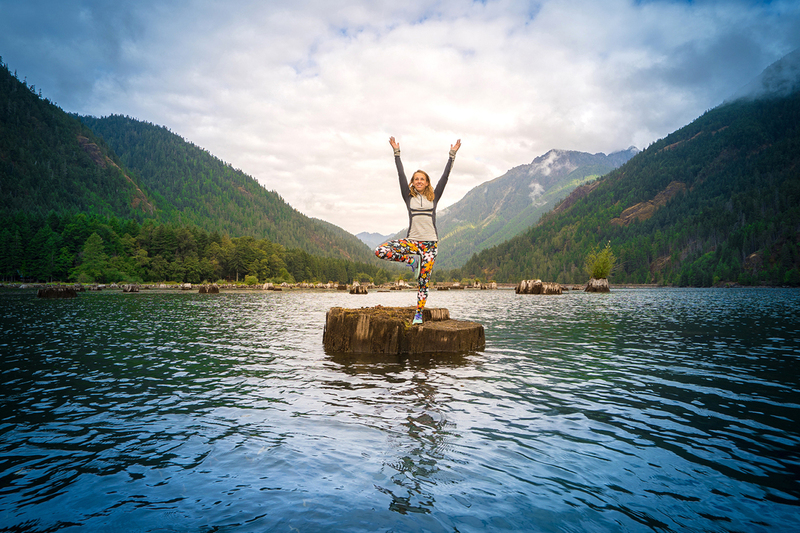 Whether it is the people, the history, the music, the food and drink or the natural beauty, Hood Canal has something inspiring for everyone.